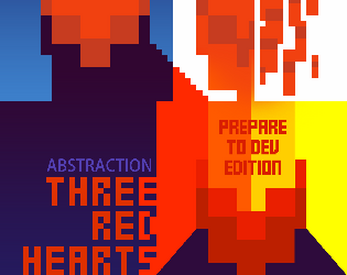 Three Red Hearts is a love letter from me to the Chiptune genre. Growing up surrounded by what is now considered "retro" video game music, Chiptune was incredibly formative to my development as a composer. The Prepare to Dev edition strips each song down to a raw WAV file, designed to loop perfectly within any media you import it into. This pack contains 24 original Chiptune (or Chiptune-inspired) songs. Many of them were created in a program named Famitracker, which is a NES soundchip emulator.